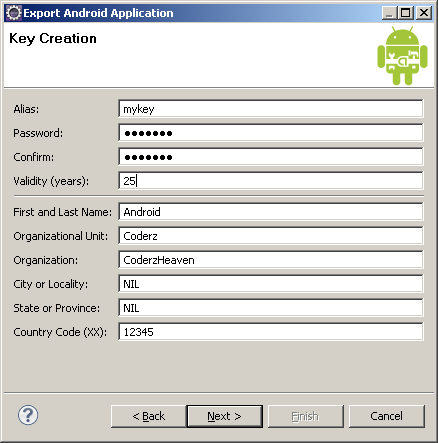 This post is also about how to sign an android apk to publish it to the android market. I have already shown another method to sign the apk, which is through the command line. 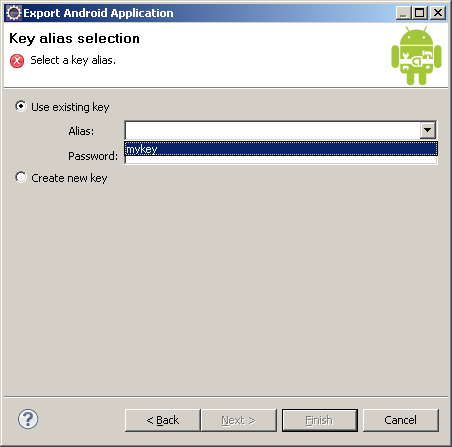 Here is another simple method without using the command line options to create a keystore file and then sign your apk to upload to the android or any other markets such as amazon markets. 1. 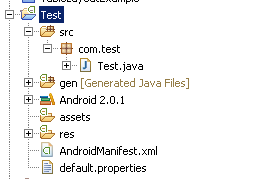 OK we will start by creating a sample project named “Test”. Look at the screenshot 1. 2. 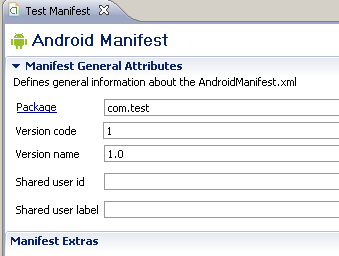 Now double click on the AndroidManifest.xml file. Set the appropriate version number and version code for your project. 3. Now below this there is a link called “use the export wizard”. Click on that. then another window will open, there select your desired project. 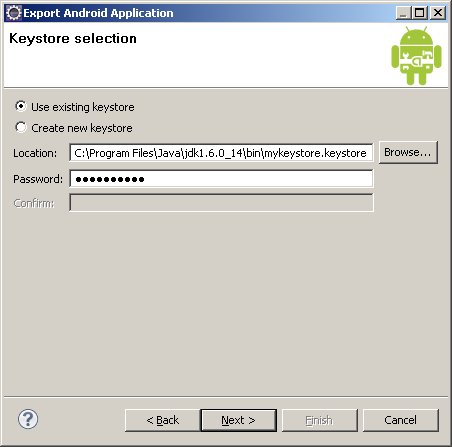 4. click Next, then you will be asked for a keystore, if you have a keystore file then browse and locate the file. 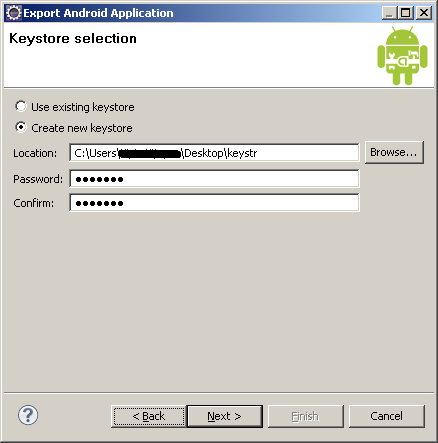 If you have a keystore file the after locating the file you have to give the password. 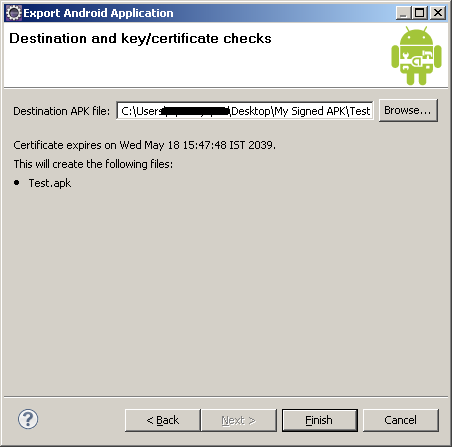 Click on Finish and your APK file will be created in the destination directory. 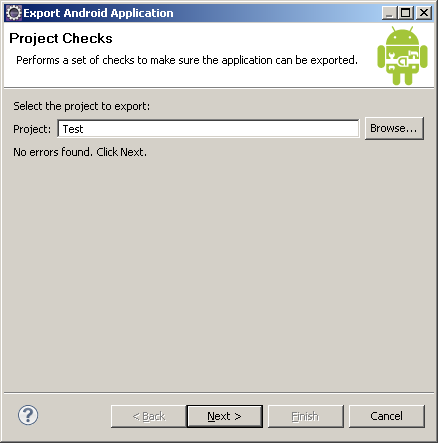 Go through these steps by filling in the details that appear in the dialog. Clicking on Finish will create your signed APK. 5. 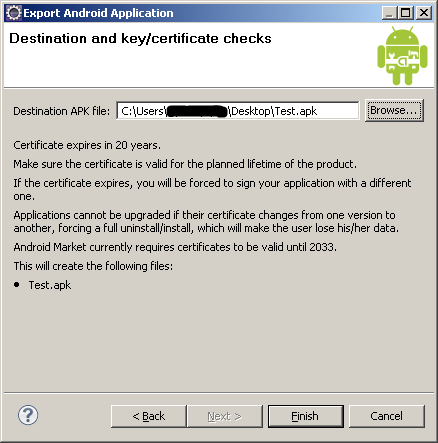 Now Give a location for you signed apk file.- Click finish -> Your signed APK is ready for upload to the market. Please leave your valuable comments on this post. PLease share it if you like this post, so that it will be helpful to others also.